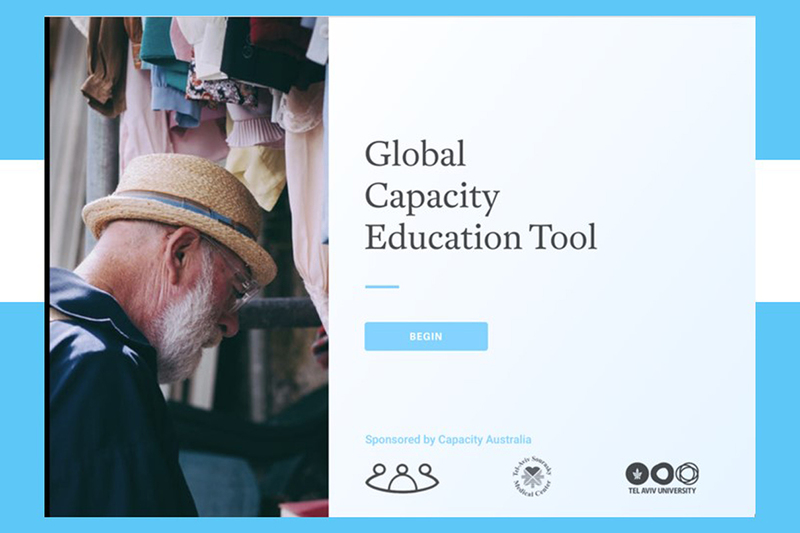 The Global Capacity Education Tool is an innovative e-learning tool designed to teach you everything you need to know about Capacity in under 30 minutes. This interactive tool was tested on a range of healthcare professionals across 3 countries and found to increase knowledge at a highly significant level. By guiding the learner through useful scenarios and providing the most important facts relating to capacity, the information can be immediately applied to real-world scenarios. This education tool is delivered in partnership with adaptive learning specialist Smart Sparrow. To begin the process, simply click the link below and sign up for an account. For a small investment of $120USD, the tool is immediately accessible and completed at your own pace in your web browser. If you have any enquiries please contact info@capacityaustralia.org.au.